Somewhere along the way, it’s likely you’ve heard that wearing white is only appropriate between Memorial Day and Labor Day. But we’re calling that bluff. White is incredibly versatile, and oh-so stylish, so why should we limit ourselves to only wearing it a few months out of the year? 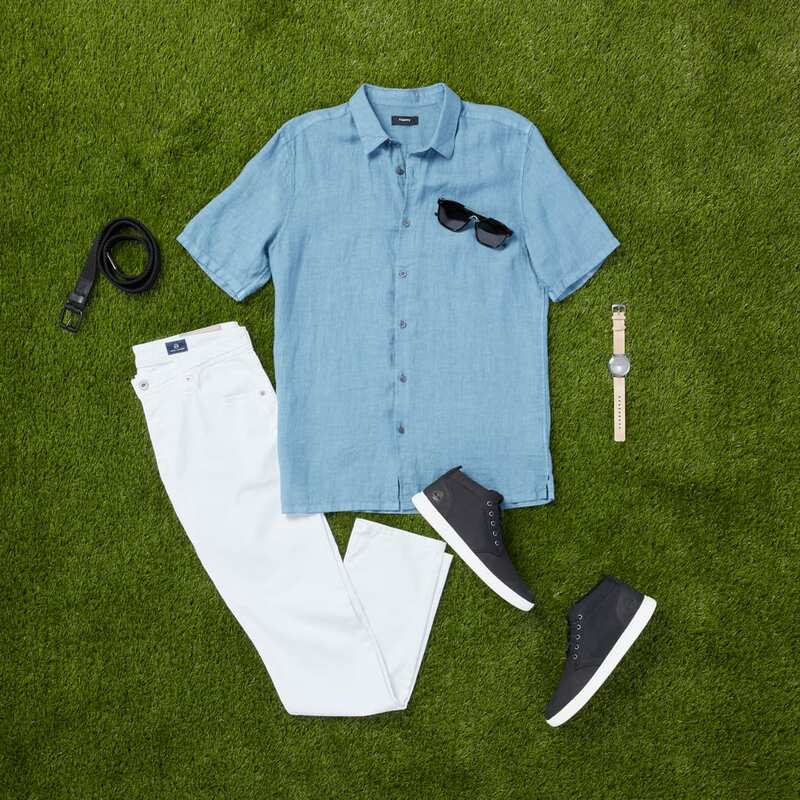 We recommend using your favorite pair of summer white denim as a base, then changing out a handful of pieces to create a crisp, clean look for fall. White denim is neutral. And with neutrals lies an opportunity to incorporate colors or prints. But how do you make sure your look is seasonally appropriate? Just swap out your light and bright short-sleeve button-downs for shirts in deeper, richer tones. This is the chance to break out shades like maroon, hunter green, or rusty orange. If you’re not quite ready to head to the darker side of your closet just yet, muted shades of blue, purple, and pink with grey undertones will also do the trick. Just keep your shoes and accessories dark also to achieve that cool-weather feel. 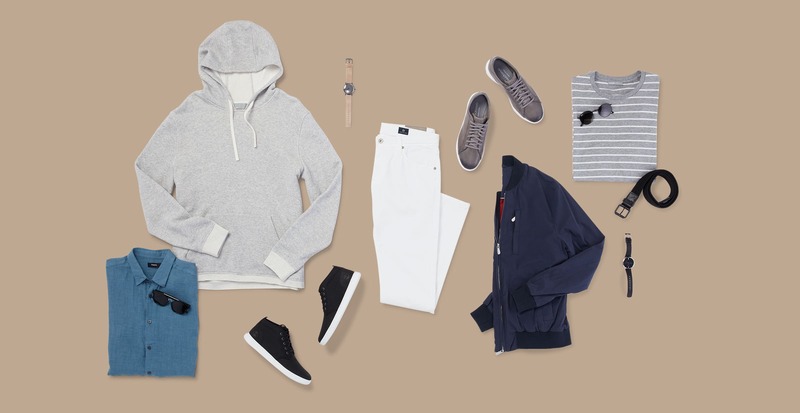 As we start thinking about September and October wardrobes, layering becomes paramount. Remember to view white denim as a wardrobe staple, and building an outfit is easy. A solid or striped T-shirt is a great starting point if you’re getting dressed for a casual day. From here, you have a couple of options. 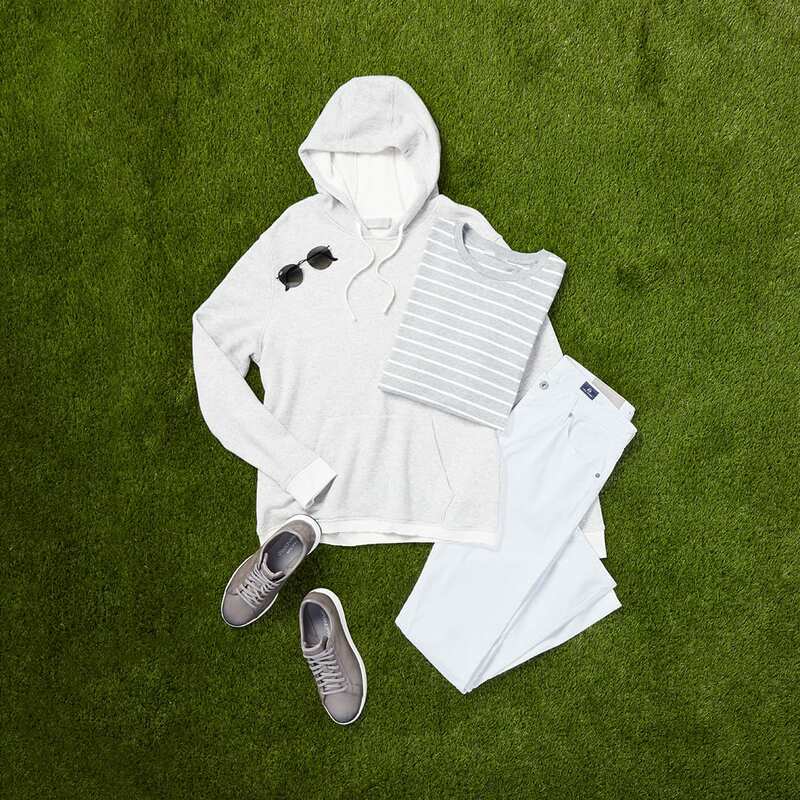 Toss on a layer—like a cool, relaxed-fit hoodie—for a daytime weekend look. Or, dress up your tee by slipping on a bomber or varsity sweater in army green or classic navy.